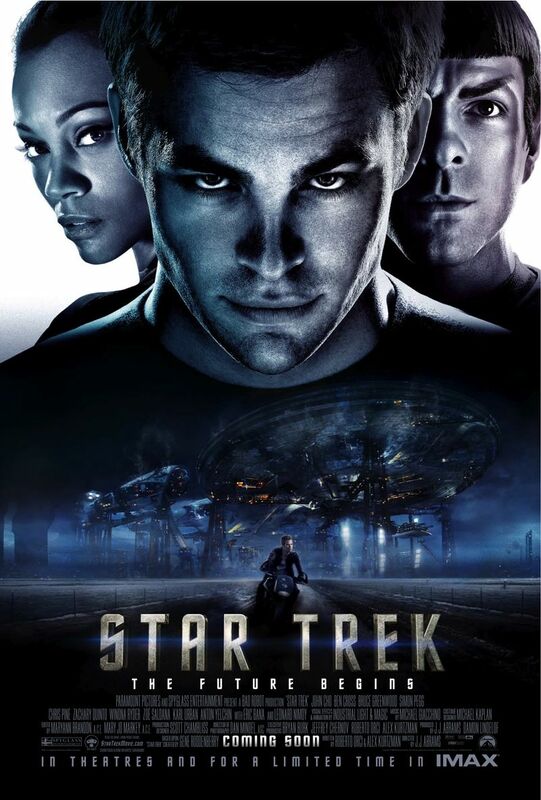 Man I gotta say, Star Trek is AWESOME! I mean come on! How could you not know it's awesome? It is! I mean, I know is just like my any other star trek stuff but MAN! Is this my limit? Wait what? I dunno. But I gotta tell you, if you watch this movie in HD. You gotta be CITE! This movie is second to none. You know what I mean? I dunno, I'm stupid. Sort of. Anyways, sorry I'm just really excited in my mind. I'm even thinking it now when I'm writing this post. OH YA! See, I watch this movie from the VLC media player. Ya click the link here. Above. And now, after you downloaded it. Download the movie where you usually find. Note: Do not download it from websites that download movies in HD, dun. Download only the Star Trek XI in DVD quality. Which is sort of a low quality. Download this, I recommend it. K, once you downloaded Funshion. It'll open up immediately after you downloaded and installed. During the setup, make sure the "Create Desktop Shortcut" is ticked. Incase it doesn't open. And when you open up this program, it's all written in Chinese. I know. It's created by China. And if you are wondering why would I download this program when I can go on the internet and search it. It's because that is the only program that I find it easy to watch movies. Ya I know, I'm a noob at watching it online or download it. But I can't help it, the searches didn't gave me what I want. Going to youtube to find videos didn't work as to get a link in one of the tutorials. So no choice, this is the easiest so far. K, make sure you know where the media folder is in Funshion. Go to C:/Program Files/Funshion. And there see if the folder is there. It's either a chinese title or a bunch of squares. Just make sure you know how to read some chinese. Okay, in the setup, I think it's better if you browse the media folder location in the Desktop. Which is of course, the easiest place to find. Most. And when the Star Trek folder opens up, there are two vlc media player folders, 1 and 2 of course. Click that and a window will pop up. Now make sure you are at the audio effects and graphic equalizer. Click enable. Then adjust the equalizer ALL to 90% percent. But it won't show, you'll have to estimate it. Like around somewhere from 90% to 100%. Or just set it all the way high enough to burst your ear drumbs. No I'm just kidding. Dun be stupid, not too loud or else it'll REALLY burst. No, dun do it. I said 90%, around there. Not unless a stupid retard turns it on high and go to the hospital for ear drumb surgery. Saturation- adjust it to one dot after the middle dot. Gamma- Do anything to it to make it look like HD, or just do nothing if you may prefer to. After you've done that, you're good to go. Note: Dun close the player which has just stopped. Click another part of the movie and the settings will still be the same. If you did, scroll back to the adjustment instructions I've given. Now, it's better if you listen to it with ear pieces or headphones. That way, you will find it better to watch the movie.